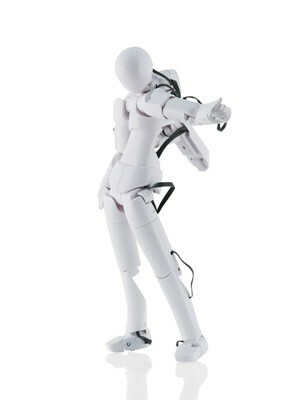 Qumarion mannequin input device for intuitive 3D manipulation and manga, anime creation. Here is one for manga artists, anime and character animators, a posable mannequin input device for intuitive 3D manipulation called Qumarion. The model uses 32 sensors across 16 body joints to translate the statue’s pose to the computer screen simply by bending limbs, and a 120 frames per second sample rate over USB means that poses are mirrored instantly. Each Qumarion comes with a variety of interchangeable hands, a stand, suite of software for capturing mannequin data (with mention of a plug-in for Autodesk 3D Studio Max and Maya modeling tools in the future), and more. All this can be yours for only $850 USD.